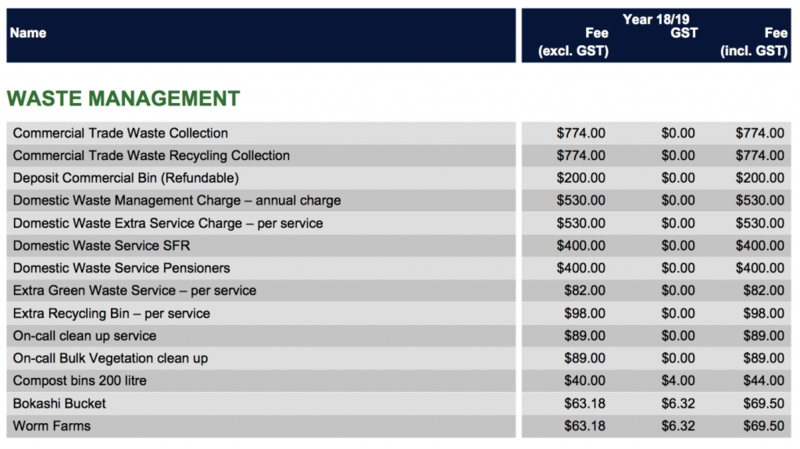 The Willoughby City Council provides residents with 4 free rubbish removal per year. This includes three scheduled kerbside collection and one booked to pick up. You must book at least ten days in advance of the collection date. There are also busy periods where there may not be any availability for at least a fortnight. 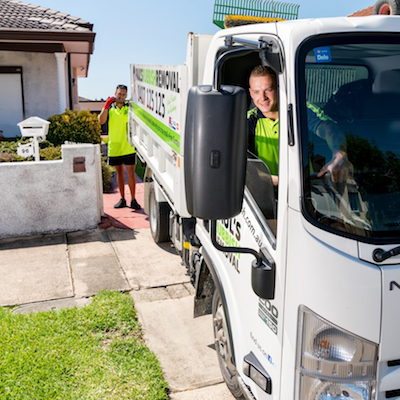 It is best to book a fortnight in advance to secure a free council kerbside collection. The Willoughby City Council booked collection service is available as either a bulky household junk collection or vegetation waste collection. However, they cannot be mixed together for the booked clean up. If you would like to get rid of both, additional collection fees are required as shown. The Willoughby City Council is also strict on illegal dumping and needs residents to label their waste for both scheduled and booked council pick up to avoid being seen as illegal dumping. There are heavy consequences for the offenders and they may run the risk of imprisonment depending on how harmful the disposed waste is. It should be noted that your scheduled and booked kerbside pick up by the Willoughby City Council is taken straight to the landfill for disposal. Landfills are notorious for their negative impacts on the environment. Garbage that is left at a landfill to degrade releases a greenhouse gas in the form of methane. Methane is twenty times for effective in trapping heat in the atmosphere than carbon dioxide and therefore promotes global warming. When planning to get rid of large household junk with the Willoughby City Council, here is a checklist of things that you must comply with in order for a successful collection. With all city councils in Sydney, there are restrictions that prevent them from accepting your unwanted household waste. This is because the landfills will not accept them due to the detrimental effects that these waste can have on the environment. For the disposal of hazardous waste in the Willoughby City Council district, you should take it to the nearest Community Recycling Centre (CRC). Which suburbs does Willoughby City Council cover? The Willoughby City Council covers 15 suburbs and an area of approximately 22.6 km squared with a population of over 74,000 (2016 census). With limited availability in booking schedules and long wait times, your best choice is to pick Paul’s Rubbish Removal. We are quick and easy to use for all your general household waste, rubbish and junk disposal. Instead of booking ten days in advanced like the Willoughby City Council requirements, you can book with Paul in a few hours. Our same-day rubbish removal means that we’ll attend your home on the same day that you call us. On top of that, we’ll hand remove your unwanted junk. Whether it’d be garden waste or general home waste that you need to get rid of, let our team handle it for you. We accept a lot more rubbish than the council does. For over a decade, we have been the perfect solution for all types of rubbish removal in Sydney. We are the experts in junk removal. There are no volume restrictions on our services. Big or small, we’ll take it all. Contact Paul today on 0407 125 125 to get all your unwanted household junk disposed of immediately!